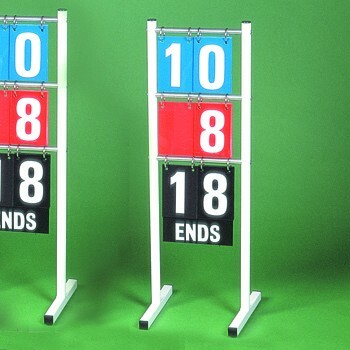 Simple, easy to use and durable scorer consisting of steel frame with aluminium cross rods. Numbers 150mm x 100mm flip over on rings suspended from the cross rods. White numbers come on red, blue and black back plates and give scores and ends.